Lost in an uncharted sea...: L.I.F.E.G.O.E.S.O.N. I had forgotten how much I loved Noah and the Whale until I heard their new single. Their music never stops being joyful and encouraging. "Peaceful the World Lays Me Down", with its adorable whistling and use of Ukulele, is one of my favorite albums. "The First Days of Spring" is a glorious album with a more orchestrated feel (especially in the song "Love of an Orchestra"). And now "Last Night on Earth", with this song. That tells us that life goes on and not to be discouraged. So great. 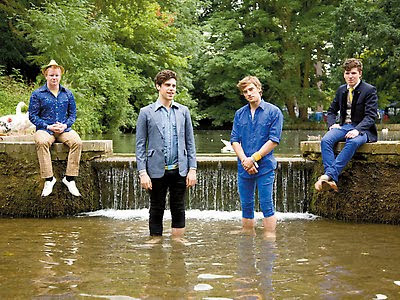 So if you like curly headed singers named Charlie, Ukulele, Whales, or just plain good music, you should definitely check out Noah and the Whale.